Are you wondering if buying wholesale feathers and down is possible? The answer is YES. Consider what type of down or	feathers are best for your project. 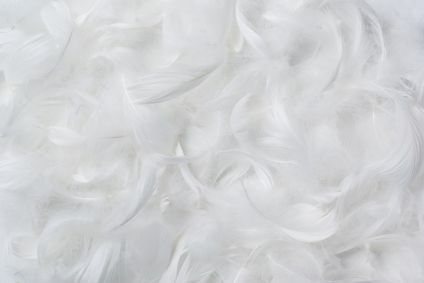 If you want to add some fluff	to your existing bedding buying bulk goose down or duck down is	your best option but if you are making chair cushions you might	want to use larger feathers for added support and shape retention. 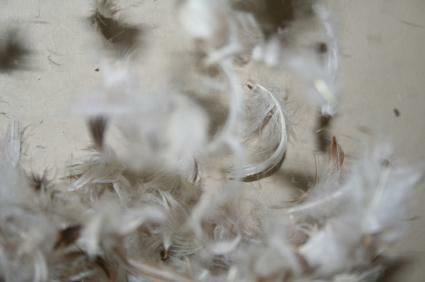 Buy less expensive duck	feathers for projects like accent pillows where warmth is not an	issue. Go with white goose down	instead of gray or duck if you are sewing with a sheer or	transparent fabric. Not all, but many merchants	have a minimum purchase requirement. Most commonly wholesale	feathers and down are sold by the pound but there are a few out there who	sell by the ounce. Some manufacturers have	special prices for those who are buying bulk goose down for	resale. So if you have a registered business number, [even if only	to sell your sewing projects at craft shows] be sure and mention	it for a special discount. The easiest place to buy feathers and down in bulk is online. Don't be afraid to ask questions about the quality and cleanliness of their product. It's ok to shop around for deals but if a price seems too good to be true the product might be of poor quality and dirty. If you prefer to shop off line contact the upholstery suppliers in your yellow pages or do an online search on 411 to find upholsters in your area. Return from this Buying Wholesale Feathers page to the Down Bedding Delights home page.